Vibrant sound fierce Ctrip into the game Short video into a travel "grass machine"? The OTA platform represented by Ctrip has fully integrated the short video function, while the short video platform represented by the vibrato has continuously burrowed into the travel business. Can the two be the same? James Liang has released 16 updates so far, and has visited 9 countries with 9881 fans. 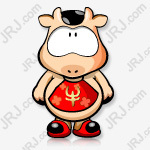 This is a user who looks quite ordinary, but miraculously has always been at the top of Ctrip's star-studded page, or a more fashionable statement, C-bit. James Liang has been to a little-known town in Yunnan, and has also been to the net red countries of Japan and Iceland. In the comment section of the Icelandic photo, someone asked: "Is Mr. Liang traveling with a photographer?" "This is obviously a compliment to my wife," he replied. James Liang has another kind of person. On Weibo, he used the more widely known name, Liang Jianzhang, and the microblogging certification information was the co-founder and chairman of the board of Ctrip. Different from microblogging, he devoted a lot of time and energy to researching serious population issues and business strategies. James Liang of Ctrip Traveler was much more grounded. He set himself a small goal for the year, "Traveling for three months." The most recent signature file announced that it had been "achieved". Since co-founding Ctrip.com in 1998 with Ji Qi, Shen Nanpeng and Fan Min, Liang Jianzhang has led the team to win countless wins and beat opponents many times. In the field of OTA (OnlineTravel Agency, online travel agency), he has helped Pushing Ctrip has become the dominant player in the industry, and has gradually established a huge tourism ecology and formed a stable moat. However, new variables are constantly appearing. As an industry leader, if you can't respond in time, you will not only miss opportunities, but also potential risks. For example, short video, as a form of content, is gaining users' longer stays, which has had a profound impact on consumer behavior. Ctrip's travel video, which has enhanced the short video function on the basis of graphics and texts, is on the line. From graphic to short video, good content is undoubtedly a weapon to promote new activities, and as a result, each OTA platform has never spared no effort in content innovation. Pu Minghui, the founder of Travel Notes APP on the road, believes that the user conversion rate brought by short video may not be too high, but it is still the case when the OTA traffic dividend peaks and the customer cost increases. The most proficient tools, especially in the "cargo", have considerable imagination. At the end of December 2018, Ctrip announced the launch of the travel channel, the change is reflected in the 8.0 version of the APP "Ctrip Travel". The entrance to the tour is located in the navigation bar at the bottom of the Ctrip Travel app, where pictures and videos can be posted. In the version description of the AppStore, the traveler is positioned as a travel sharing community. At the beginning of the tour, a group of stars who played the post-95 group, such as Yang Youning, Wang Hezhen and Chen Yuxi, were invited. Chen Yuanhao, head of Ctrip Travel and the general manager of the Community Products Department, told the "Chinese Entrepreneur" that there is a high imitation willingness around KOL's fan circle. Every move and preference of KOL may become a hot spot for fans to follow. Traveling is not the first test of Ctrip at the content level. In 2011, Ctrip launched an independent brand review network, the main hotel reviews. 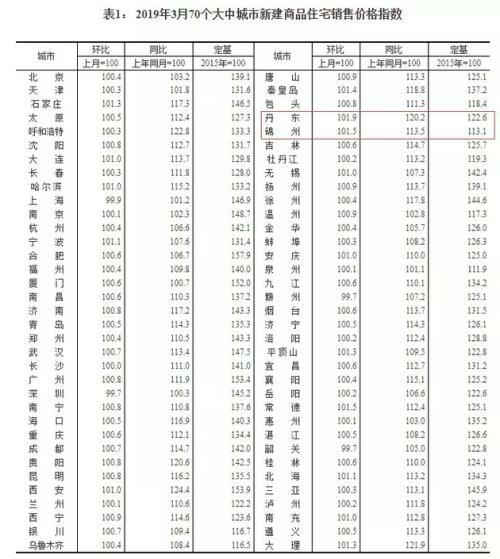 In 2013, after the return of Liang Jianzhang, the movements in the content field were more frequent, including the establishment of the first independent operation of the Raiders Community Division and the investment travel product travels. In April 2018, Ctrip also launched a hydrogen balloon travel content platform. The launch of travel photography products was decided in the third quarter of 2018, and the team and content were built very fast. According to Chen Yuanhao, the Ctrip team is composed of a team of young people who love young people, socialize, and love shooting. They are familiar with the travel mentality and reading preferences of young people. Attracting young users is the deep intention of Ctrip to launch the travel. On March 5, in the fourth quarter of 2018 and the conference call after the release of the full-year earnings report, Ctrip CEO Sun Jie said that Ctrip users are getting younger and younger, and users under 30 account for half of the total number of users. It is higher than one-third of 2013, and travel photography is becoming an important measure to attract young users and improve user stickiness. The effect is remarkable. “Although the travel is still in its early stages, our users have generated nearly 1 million posts covering more than 6,000 destinations worldwide.” Sun Jie said. The competition from the US group in the field of wine travel is another important reason for Ctrip's short video content. According to the "2018 China Online Hotel Reservation Industry Development Analysis Report" released by Trustdata, the mobile Internet big data monitoring platform, in the second quarter of 2018, Meituan Hotel became the online hotel reservation industry champion with 67.9 million orders and 72.9 million nights. . However, many tourism industry practitioners told the "Chinese Entrepreneur" reporter that in the high-star hotel, the current Ctrip status has not been shaken. Compared with the volume of orders and the amount of nights, it is worthy of Ctrip's concern. It is the advantage of the US team in the content field. The US group has a public comment on the community of life services. In April 2018, after the revision of the public comment app, the graphic information distribution mode was adopted. This revision is considered to be an attempt by the public to comment on "Little Red Book". Today, on the public comment app, there are not only a large number of high-quality reviews accumulated over the years, but also various channels related to life services on the homepage. On the travel channel, in the recommendations for hotels and destinations, a lot of content is presented in short video. In the face of new content forms, there will be online travel platforms with strong content and community genes, and will not let go of opportunities. In 2016, Ma Honeycomb once launched the “嗡嗡” function, which can publish text, pictures, short videos and other content. At the beginning of 2019, the name was changed, and the note release column was simplified to two buttons, “Publishing the graphic” and “Publishing the short video”. The importance of the short video has been compared with the graphic. At the end of 2018, the poor tour also launched a new product called "Biu". Biu is located in the middle of the bottom navigation bar of the poor travel app. In addition to publishing photos and videos stored in the phone, it can also release 30 seconds of audio. Feng Rao, head of the Macelle Tourism Research Center, told the "China Entrepreneur" reporter that the tourism industry has always faced the problem of high cost of acquisition and high transaction costs. Creating high-quality content will help reduce the cost of customers; at the same time, consumers will It is easy for some “net red” destinations, hotels, and games to grow grass. The attention, content and conversion rate of these “net red” will increase in a certain period of time. The “net red effect” is especially among young tourists. universal. In the field of short video content, the explosion of the manufacturing machine is a negligible part. In 2018, Xi'an and Chongqing successively became net red cities on the vibrato, and the number of tourists increased significantly. According to official data, Chongqing's tourism revenue in 2018 was 434.415 billion yuan, a year-on-year increase of 31.3%. At the end of February 2019, Chaoyin and 10 homestays launched the B&B season event, inviting 24 travellers to the home to shoot short videos, which were recommended to users by the vibrating information flow. During the event, these homestays offer 4 to 6 fold accommodation vouchers, which can be directly clicked into the purchase interface when users watch short videos. Shen Aixiang, the technical partner of the “Breakfast”, told the “Chinese Entrepreneur” reporter that the event was started by the vibrating commercialization department. “In the tourism sector, they want to try it out and see the vibrato. Whether the video of the hotel can directly stimulate consumers to complete the transaction closed loop in the vibrato. According to the data published by “Orders Come”, the activity of the B&B was launched for 3 days, the total sales exceeded 1 million yuan, and the number of visits to the 10 guesthouses participating in the event increased by 4 times. One of the participants in the Vibrating B&B season, Zhang Liwen, head of the Anji Midsummer Dream Wild Country Hotel (hereinafter referred to as Anji Midsummer Dream) told the Chinese Entrepreneur that as early as 2018, Anji Midsummer Dream was founded, the team I am very concerned about the sounding marketing. I have already started to prepare my own short video team, arrange a special photographer to shoot the user, deepen the browsing point of the hotel, and carry out secondary marketing communication through short video. Shen Aixiang revealed that the vibrato is directly connected to the reservation system of “orders come”, and the function is expected to be launched soon. In the vibrato, click on the relevant location of the video to accurately locate the location, you can jump to the order to the micro official website to make a reservation. There have been successes in this path from content to transaction. Horse honeycomb is one of them. Feng Rao told the "Chinese Entrepreneur" that the continuous accumulation of content and community is the core competition barrier of Ma Honeycomb. In 2015, Ma Honeycomb officially entered the transaction and gradually established a perfect tourism supply chain. As a latecomer in the trading field, Macell has achieved ultra-high-speed development with more than 100% growth for many years. However, in the hotel sector, MaCin is only doing business, and consumers are booking hotels in Maebu. The listings are still from traditional OTAs such as Ctrip, Agoda and Booking. Feng Rao also said that Ma Honey has no plans to cut into hotel reservations. In the face of short video outlets, there are also platforms that have chosen to wait and see. "We don't plan to make a vibrato, so that consumers can keep brushing. That solves the need to spend time, and the flying pigs have to solve the specific problems before and during the trip." Manager Zhao Lei told the reporter of China Entrepreneur. As a travel brand of Ali, the action of Flying Pig has been widely concerned. Zhang Yong, CEO of Alibaba Group, said in 2018 that Feifei wants to be a platform rather than a new OTA. Before taking up his position as a flying pig in April 2018, Zhao Lei had worked in Ali for more than a decade. His former position was the general manager of the Tmall Fast Consumption Division. In his view, companies in the travel industry are more concerned about what kind of customers they are looking for than the traditional retail delivery traffic. One of the experiences that Tmall brings is to establish an annual marketing rhythm. "Building a training ground, the merchants and the flying pig team can get training." Zhao Lei said. Following the Super Brand Day of Tmall, it is one of the training grounds. The Flying Pig Joint Tourism Company launched the Super Pig Day of Flying Pig, and the latest partner is Hong Kong Disneyland. “Finding consumers outside of Guangdong”, facing the demand from Hong Kong Disneyland, Zhao Lei felt the challenge. To go to Hong Kong, you need to apply for a pass, as well as transportation expenses. The decision-making cost of consumers is very high. At the same time, Feizhu's brand data bank is still in its infancy, looking for consumers nationwide, and testing data and computing power. In this case, big data played an important role. The original intention of Hong Kong Disneyland is to promote new amusement facilities with the theme of ants and wasps. Marvel fans are the key target groups. Flying Pig has carried out accurate content marketing for the group that has purchased more than 2 Marvel movie tickets in the Taobao ticket. Nearly 30% of the users who placed the order are Marvel fans. “The content is an important strategy for flying pigs in 2019. It is necessary to use content as the blood to drive all businesses.” Zhao Lei said that consumers often don’t know what to play. As a recommendation carrier, the content is very important, graphic and short. In addition to video, other forms also have room for expansion, such as live broadcast, the live broadcast room can be made into a business acceptance page, allowing the shopping guide to communicate face-to-face with the consumer through live broadcast. Zhao Lei believes that compared with the form, the flying pig should pay more attention to whether the content can solve the problem. “Flying pigs are now going to eat about food. Consumers want to taste localized food, but most consumers in China want a cost-effective experience, rather than a high-star restaurant with thousands of people per capita. More grounded content." In 2018, OTA Tongcheng Yilong, who was on the Hong Kong Stock Exchange, did not participate in a short video torrent. In the APPs of Tongcheng Tourism and Elong Travel, although there are recommendations for hotels and destinations, the presence of short videos is not strong. Backed by WeChat Ecology, Tongcheng Yilong has developed a number of small programs, including a small guide to travel strategies, but the content format is still mainly graphic. The opponent comes from an invisible corner, which is a new feature of competition in the Internet field. In an interview with the reporter of "Chinese Entrepreneur", Zhou Hongyi said that Baidu has been busy for a long time. He always thinks that 360 is a searcher and is a competitor. He did not expect its real opponent to be the headline today. Based on similar logic, can short-wave video platform vibrato become a disruptor in the online travel industry? The order came to the founder Shen Aixiang believes that the vibrato and OTA are completely different consumption scenarios. The users of the vibrato are often passively accepting the push and seeing the content in the process of browsing the content, thus generating consumption, but when the user goes to the OTA platform, most of the users There is already a clear plan. Shen Aixiang said that the demand for hunting users of the vibrato is stronger. In the activities of the hotel, the Anji Midsummer Dream, which features the wild tents, became the sales champion. Some of the high-selling B&Bs were sold backwards. In addition, it was not All travel accommodations are suitable for vibrating, and there is more marketing space for hotels and hotels with potential for excavation. In Pu Minghui's view, the development of OTA is a systematic project, and the upstream and downstream supply chains are also very complicated. The old OTA has a wide enough moat to shake the current magnitude, which is unlikely to have a real impact on the OTA. "For the vibrato, the demand and content are readily available, and it is nothing more than finding a way to realize the low cost." An employee who is engaged in commercialization in byte hopping believes that even in the short-term perspective, in the short term, the focus of vibrating commercialization is still advertising, not e-commerce, because the tourism market has small plates, few customers, and limited budget. Zhang Liwen told "Chinese Entrepreneur" that Anji Midsummer Dream wanted to cooperate with Shaking Voice very early, but the cost of advertising was too high and not accurate enough to find a cooperative entry point until the season of the hotel. Before the launch of the tour, Ctrip worked with the vibrato to compete in the short video challenge, which was quite effective. Talking about the impact of cooperation with Vibrato on Ctrip's launch of travel photography, Chen Yuanhao, general manager of Ctrip Travel and the general manager of the Community Products Department, said that compared to the vibrato, the travel vertical attribute of travel will make the content-based destination marketing more Precision. "Tourism industry marketing is more pragmatic, tourism bureaus, hotels, airlines, scenic spots are more inclined to intensively work, do some cost-effective, low-input marketing, rarely make big money to do brand advertising." Chen Yuanhao said.